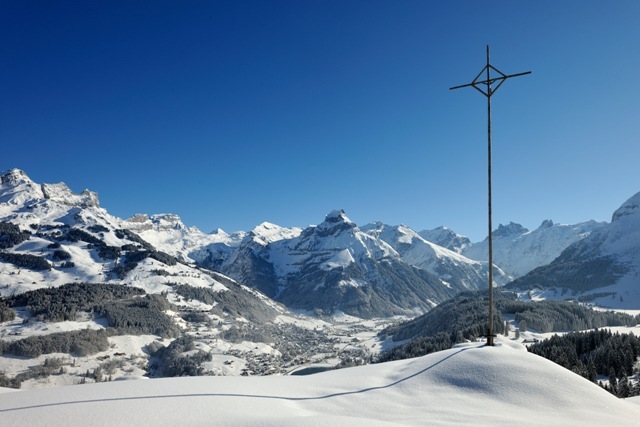 With its classic high-mountain terrain, excellent snow record and short transfer times, Engelberg is ideal for those looking for a more challenging short break destination. 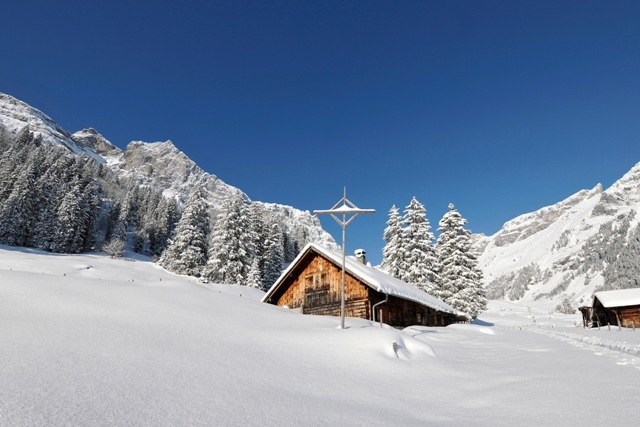 There is some easier terrain here too – particularly on the Brunni side – but the off-piste remains the big draw and the upper slopes of the mighty Titlis have one of the highest incidences of powder days in the Alps. 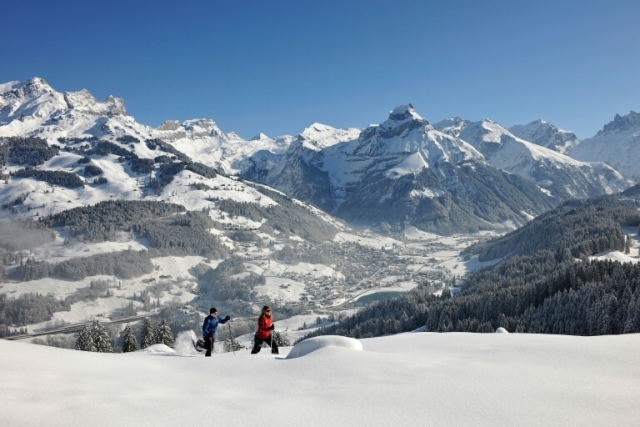 Engelberg is famous for its challenging slopes and fabulous off-piste, which ranks as some of the finest in the Alps. 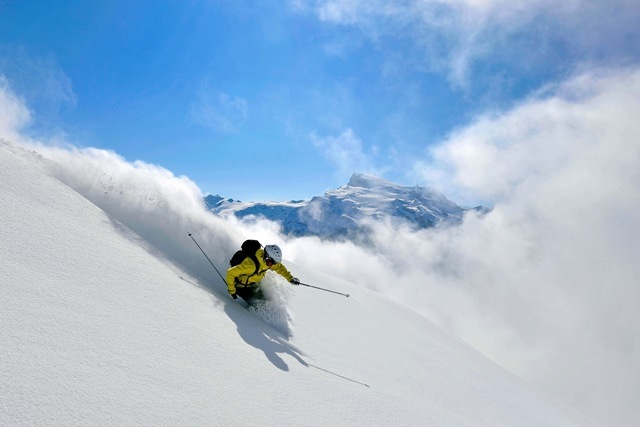 The classic Laub run is long, wide and consistently (but not terrifyingly) steep - perfect for honing your powder technique. Very different, but no less enjoyable, is the Galtiberg run from the top of the 3030m Titlis all the way to the valley floor, an off-piste descent of some 2km vertical. 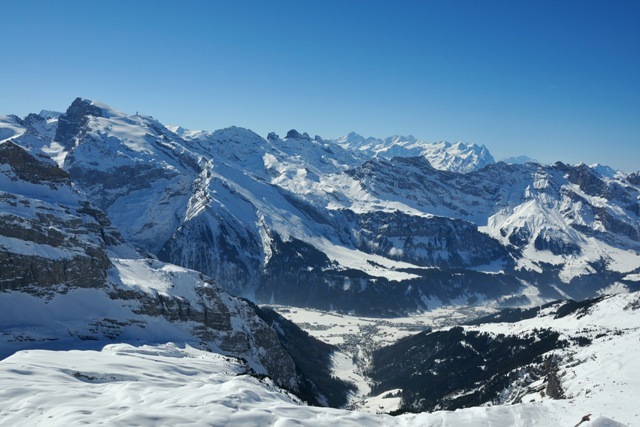 There are easier runs too, notably on Brunni, as well as an excellent valley level nursery slope - but essentially Engelberg is a resort best suited to the more adventurous. 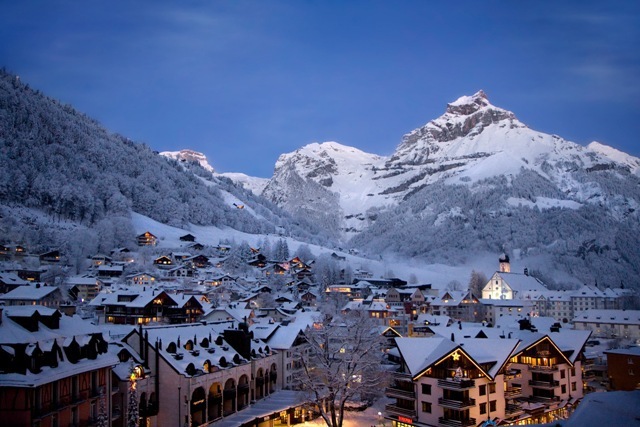 Dramatically set beneath the mighty Titlis, Engelberg is a proper town with an impressive array of amenities. 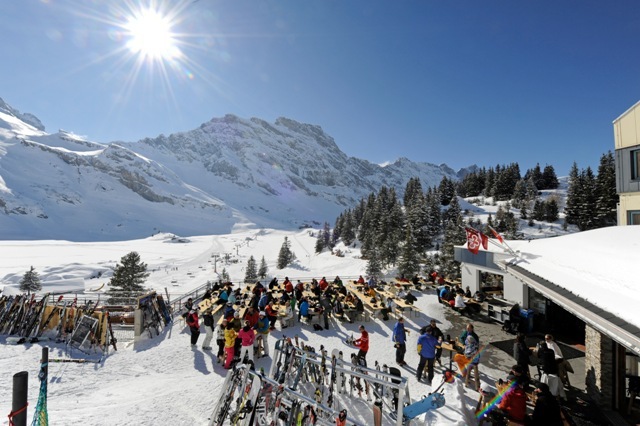 Although relatively quiet during the week, there are numerous bars (and over 50 restaurants) which come to life at weekends with the influx of visitors from nearby cities such as Lucerne and Zurich. 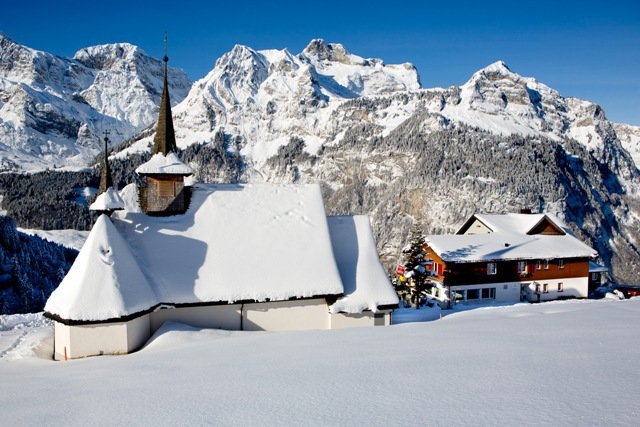 Engelberg is located in the canton of Obwalden in the central northern Swiss alps. Guide prices are based on a departure in low season and include flights, train transfers and 3 or 7 nights accommodation on either a *B&B or **half board basis. 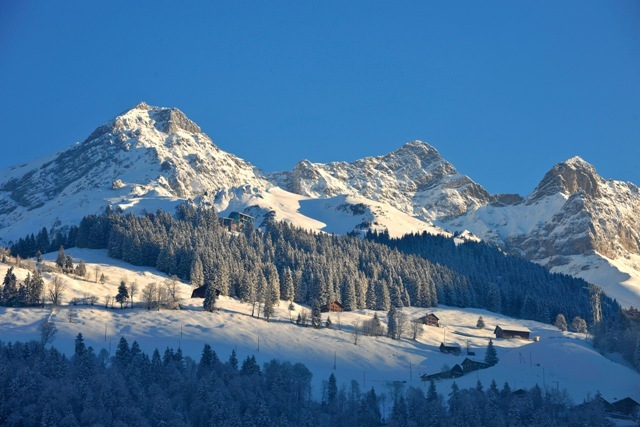 Packages at the Trübsee Alpine Lodge also include a ski pass.